Founded in 2004 as „Berolina Trio“, the Berlin Piano Trio counts as one of the leading piano trios. With their charismatic style and warm tone, this trio impresses the audience and press alike. In 2007 the trio won the biggest international chamber music competition in Poland, the international competition created by Krzysztof Penderecki. As a special recognition the trio also received the interdisciplinary Grand Prix. During that year the trio also won the first prize as well as the audience award of the European Chamber Music Competition in Karlsruhe. In 2009 the Berlin Piano Trio obtained the highly coveted “Prix Marguerite Dütschler” in Gstaad, Switzerland. Furthermore the Berlin Piano Trio tied in for first (ex aequo) at the international Joseph-Haydn- Competition in Vienna, where they also were honored with the audience award of the Esterhazy Foundation. The Berlin Piano Trio studied in Professor Markus Becker’s chamber music class at the University for Music, Theater and Media in Hannover. 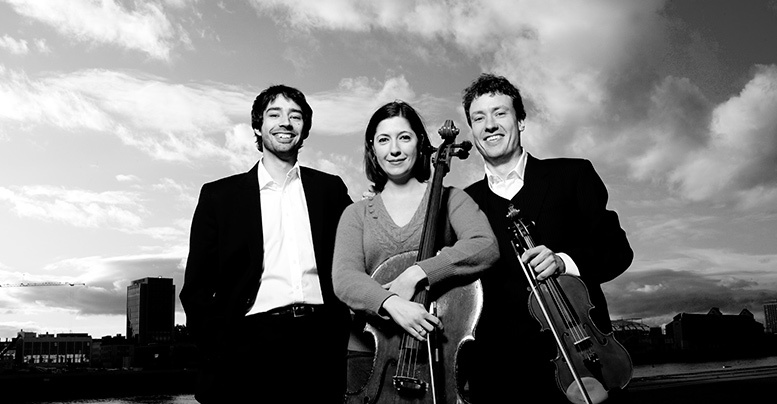 In 2007 the Berlin Piano Trio became a permanent member of the widely renowned European Chamber Music Academy, which promotes leading string quartets and piano trios at an international level by working together with chamber music ensemble founders such as Prof. Hatto Beyerle (Alban Berg Quartett), Prof. Shmuel Ashkenasi (Vermeer Quartett), Prof. Peter Cropper (Lindsay Quartett), Prof. Eckart Heiligers (Trio Jean Paul), Prof. Avedis Kouyoumdjian, Prof. Anner Bylsma and Prof. Ferenc Rados. Besides playing as the trio, the musicians also offer solo and chamber music masterclasses and are teaching at universities.